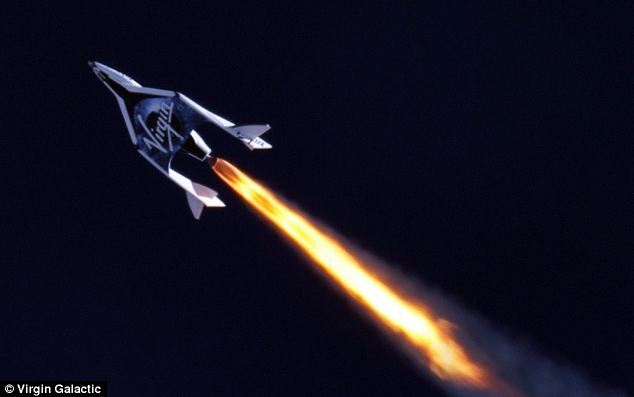 SpaceShipTwo -- Virgin Galactic's rocket plane -- blasted off of its carrier plane for a second powered test, another step towards commercial trips for people to outer space. The rocket plane flew high above the Mojave Air and Space Port in California, deployed from the carrier plane, WhiteKnightTwo. After a 45 minute flight, SpaceShipTwo was released and glided back to the airport. It counted as SpaceShipTwo's 52nd flight and WhiteKnightTwo's 156th. In January, SpaceShipTwo blasted off for a powered test and sailed through a follow-up glide flight; the bird is expected to go through a series of glide flights and powered flights that eventually rise beyond the boundary of outer space (60 miles or 100 kilometers in altitude, approximately). Virgin's billionaire founder, Richard Branson, could fly into space later this year depending on how flight tests go. More than 700 people have paid up to $250,000 each to take a ride once Virgin Galactic begins commercial service. 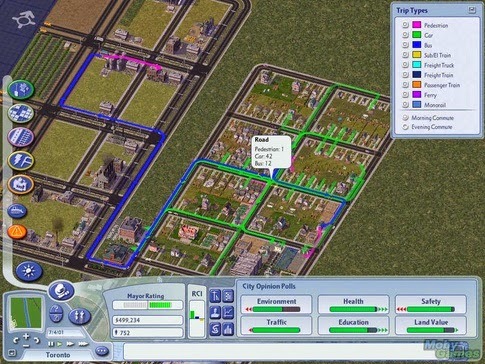 In SimCity, an old-school Mac game where you build a city through urban planning, zoning, and setting the conditions right for the growing population of Sims, one quickly realizes that roads won't suffice for long. The original SimCity was met with skepticism when SimCity creator Will Wright came out with a game that was focused on create, and game-play could continue virtually indefinitely, at a time where most games of the time were designed to last mere minutes and end in fiery explosions. SimCity is all about city planning, where you play as an omnisient and civic-minded honorific of Mayor, charged with managing the growth and planning of a simulated metropolis. Here in the Washington DC area, the Wiehle-Reston East Metro is now open, after months and months of delays the Silver Line has begun service. Soon it will link one of the major airports to the city center. In the game, we learn the secret to minimizing traffic congestion is a well-planned mass transit system that covers every building in SimCity. With a multitude of options, one can leverage mass transit many ways. One good way is to ensure at least one city in your region has a department of transportation module attached to the city hall. This is how WMATA should function, but, as the organization must content with three jurisdictions — and fight for funding from four sources, all competing — the mass transit mangers for Washington’s subways and busses have a tough situation to deal with. 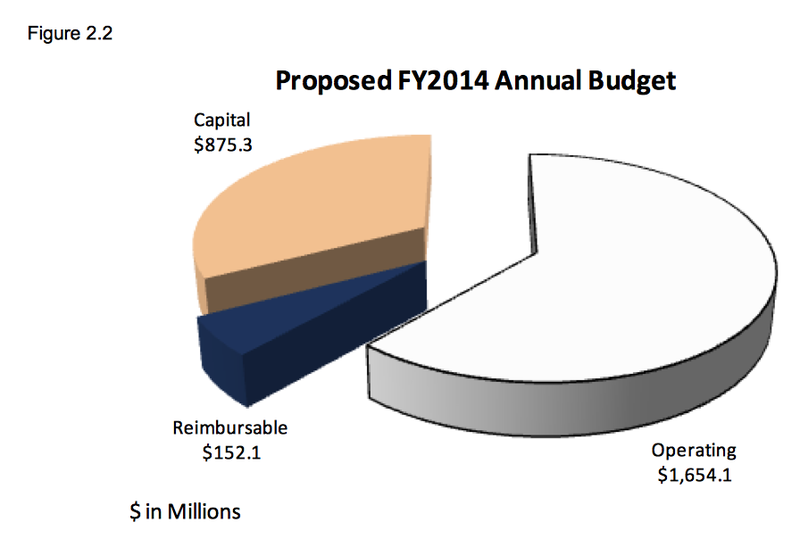 Marylanders don’t want to pay for the Silver Line. People in Northern Virginia don’t want to pay for the Purple Line (let alone law makers in Richmond). And nobody wants to pay for DC. It wasn’t long ago that Metro was searching for a long-term fix. Of course, I advocate pursing a model like the Paris metro, one of the oldest subways: no more escalators. Save money on fixing the hundreds and hundreds of them, by shutting them off. Turn them into stairs, for the most part. That solves a huge maintenance issue, and perhaps will lead Washingtonians to walk more, and slow down obesity problems. Could a Seismic Shift in Driving Be Coming? The autonomous car - automobiles that can operate independent of human control - will soon be safely cruising down streets thanks to an array of sensors, LIDAR, and highly-accurate GPS navigation. Google, Mercedes, Volvo and others are hard at work. But if the technology avoids getting squashed by government regulators and liability lawsuits, it could prompt a cultural shift similar to the early 20th century move away from horses as the primary means of transportation, as described here. First and foremost, the author writes, the proliferation of driverless cars will likely greatly reduce the number of traffic accidents. For the U.S., accidents currently cost $871b annually. Beyond cars themselves, the design of roads and traffic today are built around the human needs and human behavior of human drivers. That means lots of road signs, lane markers, and street lights, and the need to keep trees and hedges from obstructing the visibility of corners. Getting a driver’s license at 16 or 17, and learning to safely operate a motor vehicle, is a major milestone of growing up in America. A child old enough to ride a bicycle or take the subway unescorted could be old enough to take a driverless car trip, especially assuming improvements in anti-theft technologies and the impossibility of even moving the car without being tracked. A driverless car could be turned into a mobile office, maybe even one with a fully-equipped mobile workstation. For jobs that require a lot of traveling, that could be an enormous blessing. For workers who want to lose less of their family time commuting, it offers the promise of a shorter day in the office. For law enforcement in a driverless world, accessability of GPS data, and more generally the ability to redeploy resources away from traffic enforcement and prosecution of drunk drivers, could lead to better spending to combating more intentional crimes. For some jurisdictions, speed tickets are a major source of revenue. And for police everywhere, traffic stops occasioned by drivers in violation of traffic rules can be a major source of arrests for drug trafficking and other crimes. 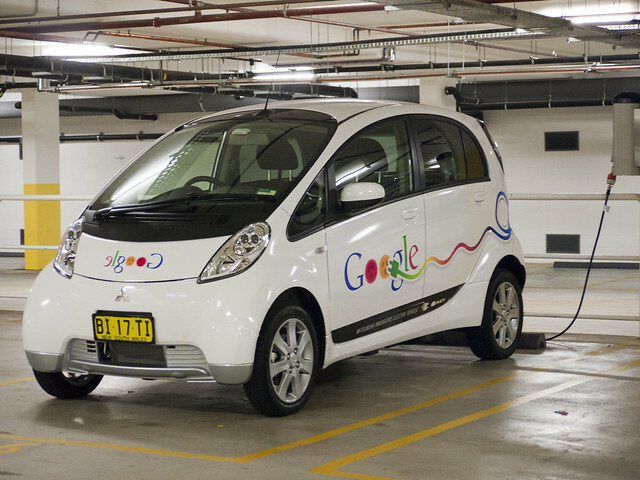 So could the Google Car revolutionize our world? I think so. The question is -- will we enable that change, embrace it, or fight against it? Intellectual capitalism of course suggests that demand by consumers (the market) could be the driving force behind the coming shake-up. 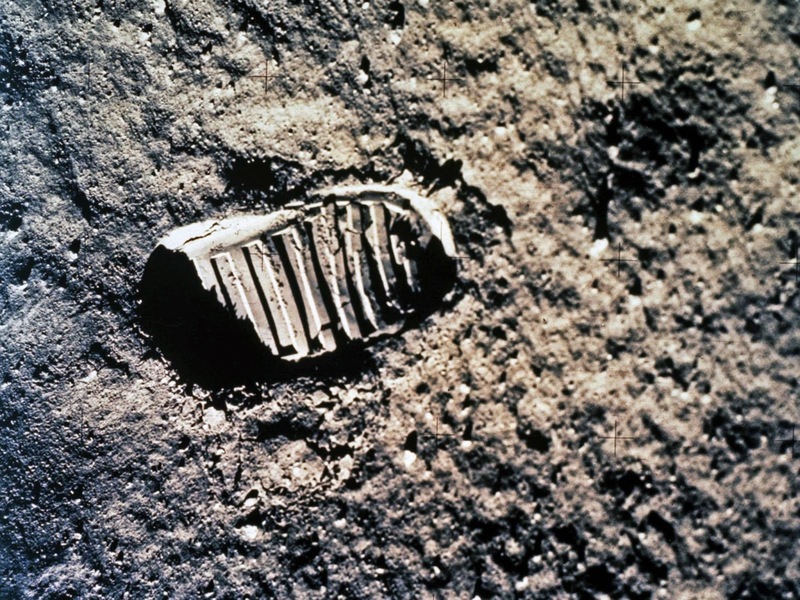 Twenty-four U.S. astronauts have traveled to the Moon. Three have made the trip twice, and twelve have walked on its surface. Apollo 8 was a lunar-orbit-only mission, Apollo 10 included undocking and Descent Orbit Insertion (DOI), followed by LM staging to CSM redocking, while Apollo 13, originally scheduled as a landing, ended up as a lunar fly-by. Apollo 7 and Apollo 9 never left Earth orbit. 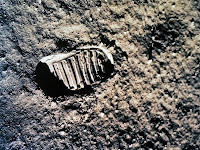 The inherent dangers of manned Moon expeditions as seen with Apollo 13 -- and of course the disaster of Apollo 1, the first manned mission of the U.S. 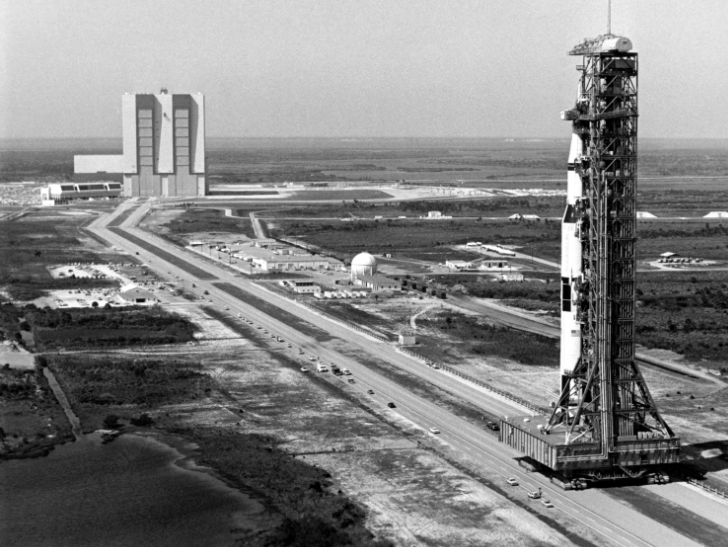 The planned low Earth orbital test of the Apollo Command/Service Module never made its target launch date of February 21, 1967 because a cabin fire during a launch rehearsal test on January 27 at Cape Canaveral Air Force Station Launch Complex 34 killed all three crew members—Command Pilot Virgil I. "Gus" Grissom, Senior Pilot Edward H. White II and Pilot Roger B. Chaffee—and destroyed the Command Module. Wired Gives Five Reason to go "Cloud"
At Bluedog, we recognize that the cloud provides many solutions, and our product is aimed squarely at solving problems around collaboration and team content development. 1. Cloud offers better insight. In a world awash in structured and, increasingly, unstructured data, 54% of leading organizations are using analytics to derive insights from big data, which helps them target customers and product opportunities more effectively. 2. Cloud helps collaboration. Cloud allows work to be accessed from multiple devices and from anywhere, which in turns makes it much easier for teams to collaborate on shared data. 3. Cloud drives better engagement. As we see the focus of business decision makers shift from cost efficiencies in their back-office systems to improvements in their systems of engagement, cloud is often seen as the most effective means of forging a tighter link with the customer. 4. Speed! Fifty-two percent of leading organizations are turning to the cloud to drive more rapid innovation in products and services. 5. Cloud benefits are measurable and pay for themselves. From efficiency gains to improved employee mobility, leading organizations are able to measure significant benefits from their cloud investments, but equally importantly, can pace their investments so they avoid big up-front capital expenses and pay monthly as their business scales. The Visiting Committee on Advanced Technology, an independent body established by NIST last year to review the agency’s cryptographic standards development process, suggests the National Institute of Standards and Technology (NIST) hire more cryptographers and lessen its reliance on the National Security Agency (NSA) for approving cryptographic algorithms. NIST is the standards-setting body of the U.S. government. NSA is a signals intelligence gathering agency, part of the U.S. government's intelligence community. NSA contractor Edward Snowden leaked information showing NIST approved a random number generator (Dual EC_DRBG) that had been deliberately weakened by NSA. Because it did not have enough cryptography experts on staff, NIST was overly-reliant on NSA for expert advice on the standard and failed to notice problems even as private sector researchers were raising concerns. Bluedog is working on a new version of its product, Workbench "Always on the Job! "© And we are facing new challenges everyday. It is great to be back writing code, and on the front lines of working with end users. This is how better mousetraps get built, IMHO. When we opted to upgrade, we went around in circles at the beginning about Ruby vs WebObjects. About keeping legacy code as a base layer, or starting fresh. Ripping up the SDD and starting again is one of the hardest decisions to do even — especially when its your baby. At other places I have worked, too many people have invested too much in an on-going project. There are too many stakeholders, too much institutional momentum. As a result, the impulse is to try to fix what is there. When I got my MBA, one of the best things I learned — and embraced — is the concept of “sunk cost.” So, cleaning the white board made the most sense for Workbench 2.0 -- while cloud computing, n-tier MVC architecture, and the web are going strong, there are many exciting new opportunities in the world of software-as-a-service. And the economic turmoil recently has encouraged our customers evolve. So we have. When Steve Jobs took over Apple again in the 1998, one of his first moves was to throw overboard projects that weren’t working – such as, the “Newton” handheld device (which, as readers may know, I loved). He started over, wanting a clean slate. I am lucky — with the great team at Bluedog, I am able to ask, “If we were just to start fresh, what would we do?” That’s what we are doing, and I am excited to see us get to the launch pad! In the service oriented world cloud computing lives in, it behooves us to think in terms of the interface first, the resultant apps, second. For example, think of a database you want to share with thousands of users. Who knows how individuals might want to access that data? How will you manage fine-grained permissions? Lightweight business logic, perhaps tied to an enterprise authentication solution such as LDAP, provides one path. One may also benefit from performance, as frequently accessed data could be cached. As “consumed” data flows through a web services layer, it is desirable to have fine-grained access control and analytics of the consumption of said services — and who doesn’t love a dashboard view of utilization? The libraries in our software-as-a-service Workbench handle connectivity, access control, and search so our developers can focus on building a great user experience, whatever the platform (iPhone or iPad, browser, or even machine-to-machine). Many times I am ask, "Hey, Tom, I have a killer idea for ______. How do I start a business?" That is usually when I finish off my pint and head for the door. However, I came across this info graphic that provides a decent overview of how to get your company established and off the ground. Now all you need is a little capital, a little motivation, and a lot of luck.